Pregnancy can be one of the most exciting times a patient will experience. 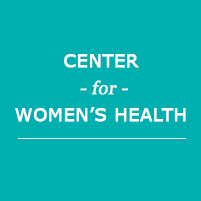 At the Center for Women's Health, the professional staff looks forward to sharing your journey during this special time in your life. If you live in the Oxford, North Carolina area, you're encouraged to visit the facility and schedule an appointment if you believe you may be pregnant or are trying to get pregnant. Good health is essential for both mother and child. The staff looks forward to working with you during this special time. While these symptoms are subtle, they will begin to become more pronounced as time passes. If you believe you're pregnant, you should contact the staff of the Center for Women's Health and schedule a prenatal appointment so a pregnancy test can be performed. If the test is positive, you'll be given an estimated due date and suggestions on diet, exercise, and other possible changes to lifestyle habits that will be beneficial. What is the purpose of monthly prenatal exams? Monthly prenatal exams serve several purposes. One of the most important is tracking the development and progress of the fetus. This will allow the providers to maintain an accurate due date and ensure that the fetus remains healthy as it develops. They will also closely monitor your health and well-being. Prenatal exams are used to detect potential problems like pregnancy-related hypertension and gestational diabetes that can have an impact on the growth and development of the fetus. You'll also be provided with healthy lifestyle options that will allow you to maintain your health during the pregnancy and beyond. Why is it beneficial to have a doctor who is licensed in both obstetrics and gynecology? The primary benefit of having a doctor who offers both gynecological and obstetrics services is simple. An OB/GYN is capable of working with you prior to your pregnancy, during, and after. Being able to use the same healthcare provider means that they know all aspects of your health without having to consult with other providers. Many OB/GYN providers work with their patients long before the thought of a pregnancy becomes a reality. Because of this in-depth knowledge, they're able to offer sound advice that's based on your past medical history. It provides you with a consistent level of care that wouldn't exist if two separate providers were used.